Railways is mulling linking of train tickets with Aadhar cards to tackle the menace of touts in bookings. 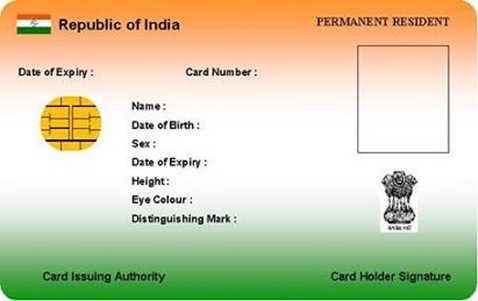 "We are exploring the possibility of linking Aadhar system with issuing of train tickets and if this happens, the tout menace will be effectively curbed in ticketing system," Railway Minister Pawan Kumar Bansal said here today. Passengers often do not get tickets in advance as bulk tickets are being cornered by touts. "I have recently met Nandan Nilekani and discussed the issue with him. Our aim is to ensure availability of tickets by genuine passengers as there are complaints of touts booking bulk tickets in the name of tour and travel operators," he said. Railways has made it mandatory for passengers in reserved class to carry I-cards as a step to check touts. "We have taken several steps to prevent tout operation. We are also strengthening the software to facilitate maximum booking of online tickets," he said. Railways has banned booking of tickets by agents between 10 am and 11 am as the period is dedicated for tatkal booking by passengers. Advocating the introduction of the Aadhar system, Bansal further said, "It is not only tickets, even money can be transferred in pensioners' accounts directly with the Aadhar card system." There are 12 lakh pensioners in Railways. Asked when the Aadhar system will be implemented in Railways, he said, "It is an idea and we have to work it out." Bansal said Railways has taken several steps to curb wasteful expenditure. "I have instructed that there will be no full-page advertisement in newspapers as was the practice earlier. If any ad has to be published, then it should be one-fourth size of the paper."